When you look at the actual research, it’s hard to understand why there is so much misinformation about the potato. Maybe it’s because Americans love “miracle diets” – or because we’re so firmly rooted in a good-food, bad-food mentality. Whatever the reason, there is no scientific evidence to back up the myth that potatoes are bad for you. To the contrary, there are numerous studies – with both adults and children – showing that potatoes can be a delicious part of any family’s healthy eating style. Enjoy a wide variety of foods – like all colors of vegetables, including white ones. Practice moderation – by eating age-appropriate portions from all food groups. Balance food intake – throughout the day and with regular physical activity. 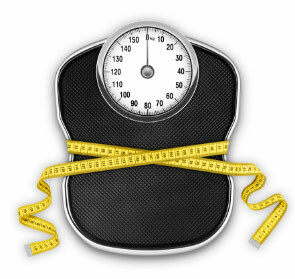 Make gradual improvements – rather than attempting drastic dietary changes. There is no scientific evidence to suggest that any single food is responsible for weight gain or loss. One University study conducted in California and Illinois showed that people could lose weight on three different diets, all of which included three to five servings of potatoes per week. The best advice for achieving and maintaining a healthy weight is balance your food intake with your activity – and to make gradual long lasting changes. In fact, every science-based diet plan recommends eating more fruits and vegetables of all types. Recent attention has focused on the weight and nutritional status of American children, including their vegetable intake. A 2011 analysis of national survey data for youth (4-18) evaluated how eating potatoes (baked, roasted or boiled) affected nutrient intake and weight. There was no significant difference in BMI (body mass index) between those who ate potatoes and those who did not. However, children’s meals with potatoes did have higher amounts of vitamin C, potassium and fiber per 1000 calories than meals that did not. There was no evidence that potatoes displaced other vegetables in school lunches. 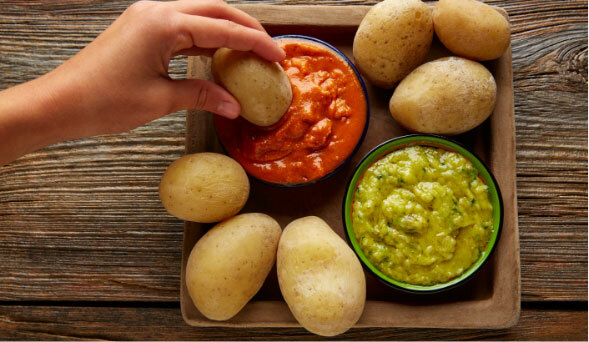 Research documented by Potatoes USA highlights the role of the resistant starch in potatoes. It shows that resistant starch is the starch that is “resistant” to enzymatic digestion in the small intestine. Resistant starch is found naturally in foods such as legumes, bananas, (especially under-ripe, slightly green bananas), potatoes and other unprocessed whole grains. According to one study, the physiological effects and potential health benefits of resistant starch have been examined in animals and humans for over 30 years. Resistant starch appears to exert beneficial effects in the colon as well as the body as a whole. Health benefits in the colon include enhanced laxation, extensive fermentation, production of important short chain fatty acids, and increased synthesis of a variety of good bacteria. The amount of resistant starch found in potatoes is highly dependent upon their processing and preparations methods. However; even processed potatoes (i.e. potato flakes) appear to retain a significant amount of resistant starch. The American Diabetes Association also takes a total diet approach to managing diabetes by saying that all foods with carbohydrates, including bread, potatoes and pasta, can be “part of a healthy meal plan, but portion size is key.” While meeting with an RD (registered dietitian) is the optimal way to personalize a meal plan for each individual, most people with diabetes can safely include about 45 to 65 grams of carbohydrates at a meal. A medium potato has about 26 grams of carbohydrates. While glycemic index is a hot topic among researchers and in the media, there is little agreement on how to measure GI accurately and how individuals respond to GI in real world eating situations. The GI measures of a produce item, like potatoes, can vary with the variety, climate, harvest time, and preparation methods. Given our limited understanding, many experts agree that judging the value of foods by Glycemic Index may be counter-productive. The best advice remains to enjoy a variety of foods – from all food groups – in appropriate portions. Potatoes are an excellent source of vitamin C and potassium. Potassium is one of the key nutrients that Americans need more of. They also have moderate amounts of high quality protein and of fiber – with no fat, cholesterol or sodium. In addition, researchers and national health organizations agree that potatoes can fit into a healthy eating style at all ages. For cost-conscious consumers and menu planners, we can top all this with some even better news: Potatoes provide the most nutrients per penny, according to researchers at the University of Washington. In one analysis, the cost of white potatoes was approximately half the cost of other vegetables – and potatoes are among the lowest cost sources of potassium.